Thread: Hey Macboy, You're a PC! The Apple / Microsoft ad war keeps escalating -- while Apple continues to insist that John Hodgman is the human representation of all PCs, Microsoft is taking its populist approach to the streets. 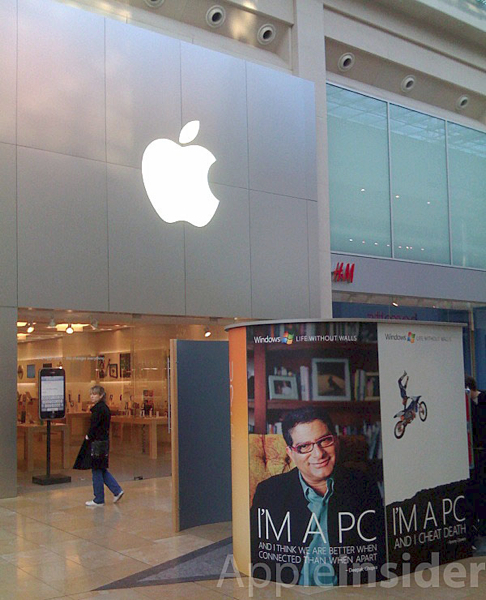 Very specific streets, actually -- it's placing "I'm a PC" recording booths outside of Apple stores, like the one pictured here in Birmingham, England.